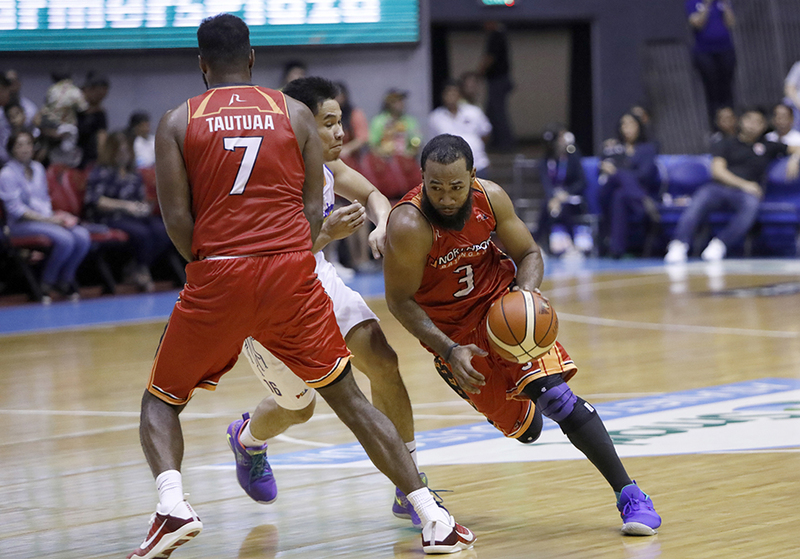 PBA Philippine Cup 2019: NorthPort Batang Pier defeated TNT KaTropa, 109-83 to grab their third win on Sunday night at the SMART Araneta Coliseum. NORTHPORT 109 - Pringle 27 (9reb), Anthony 14 (7reb), Tautuaa 13, Taha 13, Flores 11, Grey 9, Bollick 8 (12reb, 7ast), Elorde 8, Lanete 6, Guinto 0, Sollano 0. TNT 83 - Trollano 15 (7reb), Washington 13, Pogoy 10, Cruz 7, Reyes 7, Castro 7, Miranda 6, Rosario 6, Taha 5, Williams 4, Gollas 2, Semerad 1, Heruela 0, Carey 0, Casino 0.